A few weeks ago, I heard the Bleacher Report was making some big money offers to several established writers at newspapers. The site is looking to expand its roster, I was told. Sure enough, it happened again Wednesday. 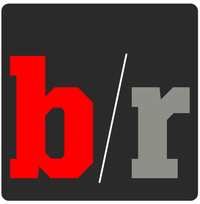 Bleacher Report announced the hiring of Howard Beck, now formerly of the New York Times, as its lead NBA writer. Ethan Skolnick (Palm Beach Post) was brought in to cover the Miami Heat; Kevin Ding (Orange County Register) will report on the Lakers; and Jared Zwerling will write NBA features. The latest additions come on the heels of Bleacher Report hiring Mike Freeman from CBSSports.com as a columnist. And there will be more. From what I have been told, the site will be bringing in some well-known NFL reporters. “Game-changer” is the key phrase there. With Turner purchasing the site earlier this year, Bleacher Report clearly wants to become more of a player with branded sports content. It also makes sense to bulk up on the NBA, given Turner’s association with basketball. The state of the media in 2013: Howard Beck, one of the best NBA writers in newspapers, has left the New York Times for … Bleacher Report. Indeed, I’m sure yesterday was a good day for Howard Beck’s bank account. More to come. Here’s the official release. Posted in Web sites by admin. Excellent post. I was checking continuously this weblog and I’m impressed! Very helpful info specifically the final part I care for such information a lot. I was seeking this certain info for a long time. Thanks and good luck. Check out my interview about the book with Harold Reynolds and Fran Charles on MLB Network.